I’ve been looking forward with great anticipation to Canon’s new mark II EOS 7D camera body for some time. The main reason is that it was rumoured to be packing a built-in GPS system. As one who very nearly reported a damselfly in an incorrect location, one that would have had our county recorder jumping with excitement, geo-tagging pictures as they were taken seemed like an exciting proposition. And a safeguard against idiots who didn’t remember where shots had been taken. 😀 The new camera hit the stores in mid November. I agonized but not for too long – life can be too short, after all – bit the bullet and ordered one at full price in December. My default supplier, WEX Photographic, was temporarily out of stock but good ol’ John Lewis had >10 in stock so, for an extra 95p over the WEX price, that’s where it came from. Further more, it was delivered to my local Waitrose store, free and overnight, so I got it quicker and without having to wait in for a delivery van. Click and Collect is most definitely the way to go. Here it is complete with old lens. a.k.a. the Beast, attached. There are other improvements over the 7D mark I, of course, one of which is supposedly better noise performance at high ISO settings. 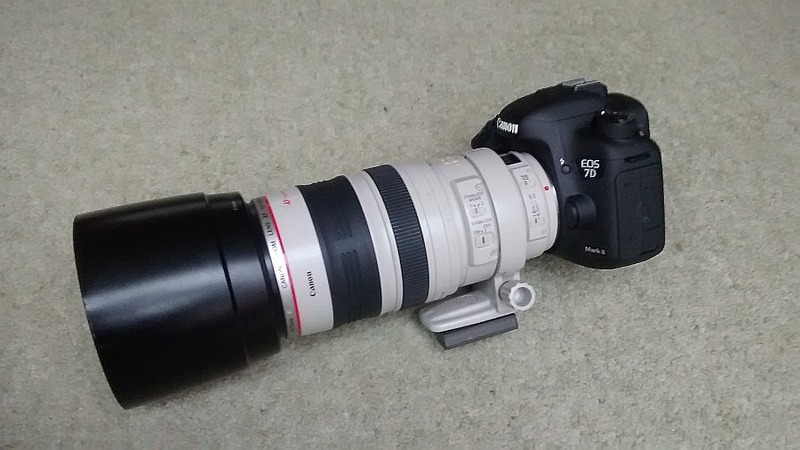 Since the old mark I 7D was not terribly good in this regard, Canon fans were hoping for considerable improvement. However, an independent review that I’ve seen suggests that the improvement is about 2/3rds stop – not as much as we’d hoped. Still, it means that ISO 800 might be very nearly as good as the old model at ISO 400, so I should get a bit more flexibility. Another improvement is that auto-focus is maintained with lenses as slow as f8 so I should be able to use my 1.4X extender on The Beast (naturally f5.6) and maintain autofocus. I’ve tried it and it does work, albeit rather more slowly. Since today was a sunny day, we went for a wander around Whipsnade Zoo, just to find some subjects to point my new toy at. My main aim here was to play with the GPS system rather than to take fancy pictures. The first thing to point out is that, unless you actually turn the GPS off (i.e. disable it in the menu system), the GPS remains active, and consumes battery power, even when the camera is turned off or asleep. This is because the GPS can be set to log your route as well as to geo-tag your pictures. I forgot and it and logged our drive back home. 🙂 With bright sun, I didn’t need high ISO settings so the noise wasn’t tested, but the route and pictures did give me something to play with in the Canon Map Utility software (rather clunky, I thought). Some pictures turned out to be interesting, though. 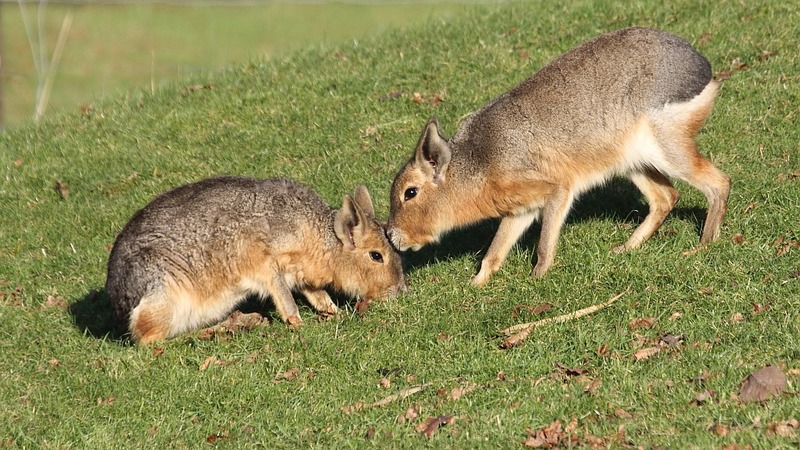 First up was a pair of Maras which seemed to be posing quite nicely with each other. Lovey-dovey Maras? I think not, that would be anthropomorphising. What a big word! 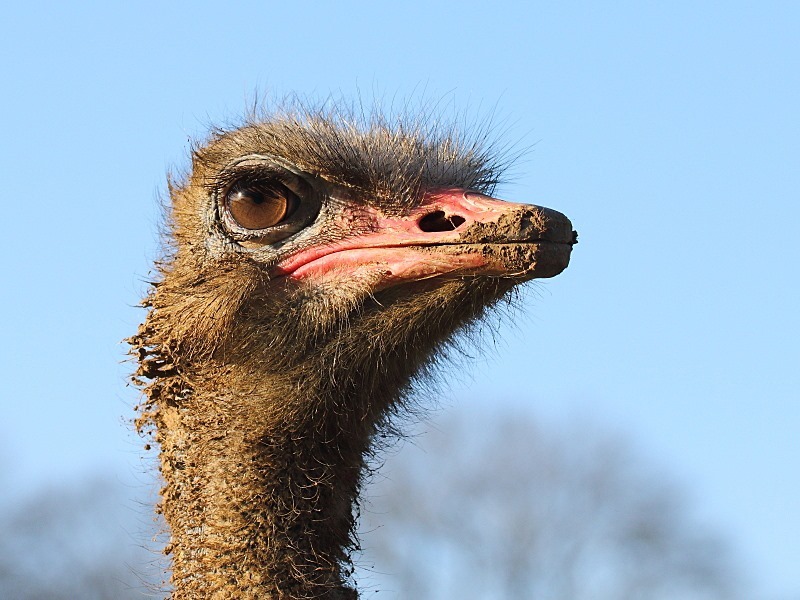 Next, I spent quite a bit of time playing with a male Ostrich, mostly trying to get close enough for a portrait without getting so close that I came within range of its fearsome and rather dirty beak. This seems to be the best of the bunch given the angle and background. A stern looking fellow and I’m not crouching down – that’s how tall it was. Watch the birdie! Tall things seemed to be the order of the day as we next found ourselves at the Giraffe house. 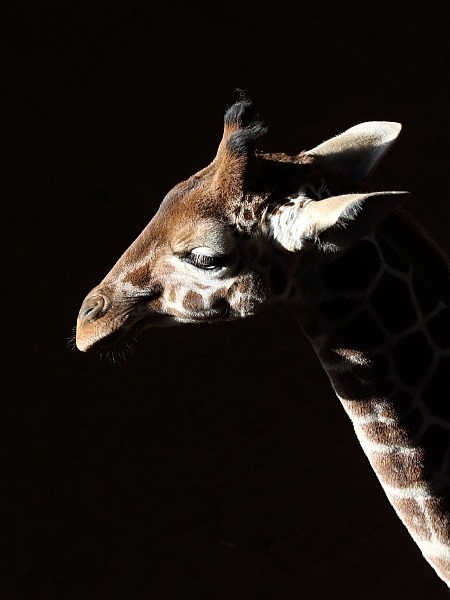 There’s a young giraffe but they are, of course, still damn tall. There’s an observation platform built up so you can get more on eye-level with the beasts, though. Eye-level with the adults, that is. More by luck than judgement, I did get some interesting lighting when junior went into the house and faced the door with the sun screaming in. In this case, a slightly lower angle of view would’ve been better but regrettably impossible. I quite like the effect, though. 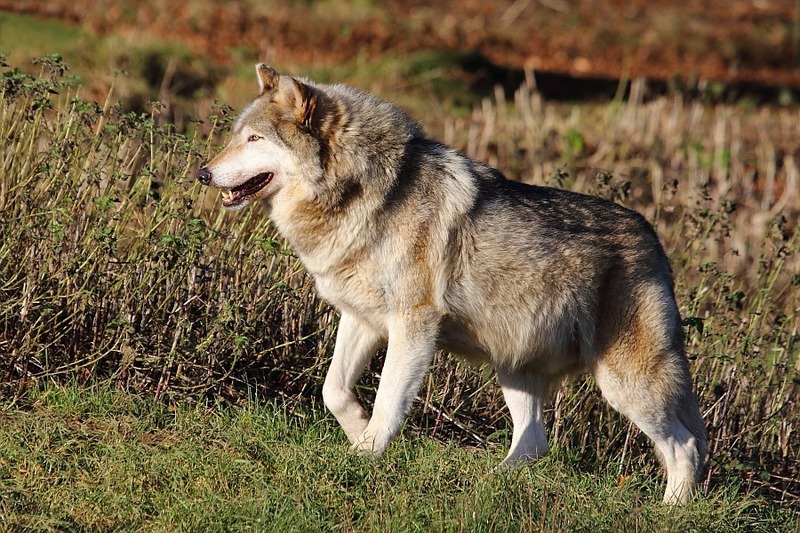 Finally, the Canadian Timber Wolves were being quite active in the winter sunshine. They’ve always proved frustrating in the past, for me, but at last I got something reasonable. This shows, in my view, why man should stop messing about with nature. Here is a perfectly magnificent wild creature that doesn’t disturb its neighbourhood by barking but then along comes Homo sapiens and ruins evolution by “developing” countless irritating species of dog. Quelle domage! Looks a worthwhile purchase. But is this a case of new one in, old one out? Your feathered model looks a lot scarier than your Timber Wolf. BTW, I’ve still got my trusty old 40D, too. I was thinking of having that converted to infrared but that’s expensive and a steep learning curve, I suspect.